It was the happiest Third Eye Training, both for members and for the mentor, that’s me; even its the last public training. See the above and lower photos, just like ET from the outer planet to pick you up, the scene was so mysterious and fantastic. 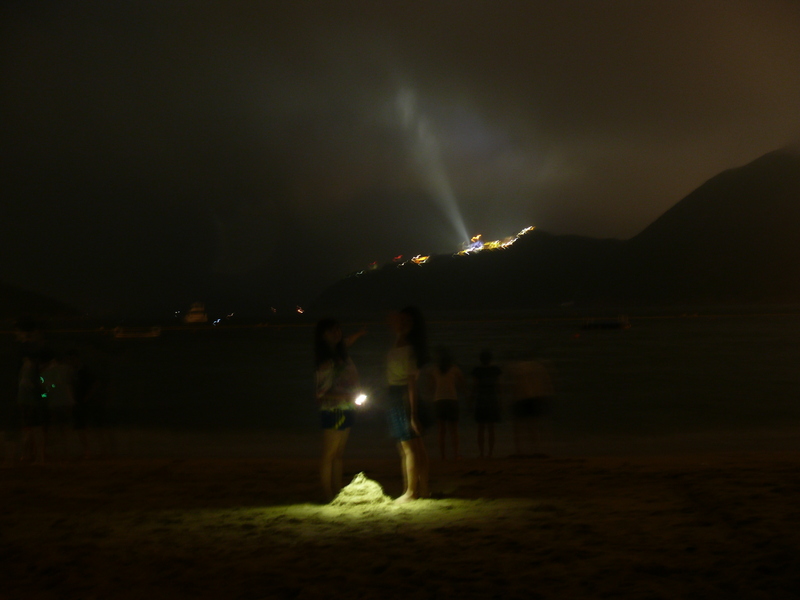 The beach had changed from Repulse Bay to Deep Water Bay, but still as indelible as all that. 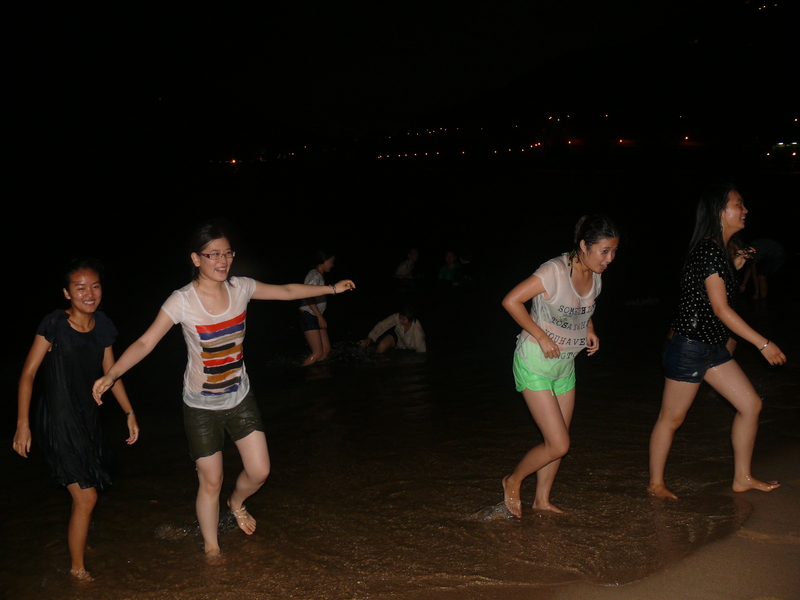 On arrival of the beach, all members dashed into water and even pulled me to among them. 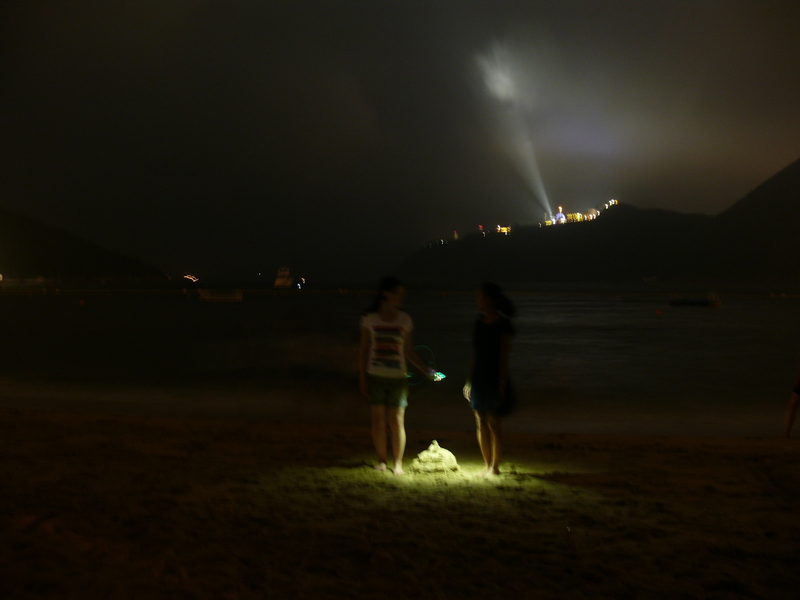 So crazy to enjoy this transient (一瞬即逝的) and remarkable night. I even led them spiritual to forest in mind and neon lights afar. I exercised my power of psyche (念力) to lead them one by one. This is the advanced course and normally reserved for my beloved ones; but tonight, launched out to every member. They were extremely happy even requested for skipping off the daily presentation of next day, and I also let the daily report to be done on the following morning in the office, so as to let them put down all their burdens. Basically, the general performance was quite good. It was the most successful Third Eye Training that I launched out no matter in Brave New World or Wind of Fortune. And its really the time to call for halt. 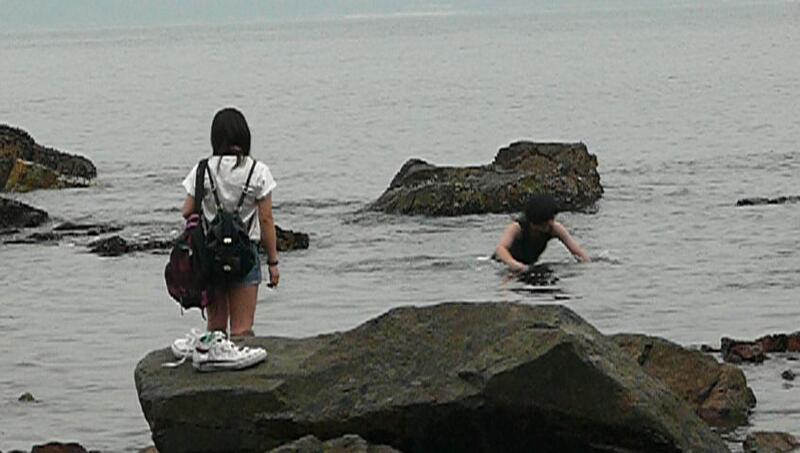 Actually, I have done a lot of preparation works for them, we went for the Labyrinth Walk on the previous day, and spent an afternoon in the rocky beach of the Hong Kong University of Science & Technology before we went over there. I was also happy that a good student solved the problem of handling my Nikon camera, and another promised to be my supermodel even before arriving Hong Kong. And after arriving, my beloved joint together for shooting of music video. Thus came to a grand close down of the Third Eye Training and there would not be any public training anymore. It will be only reserved for my stars of tomorrow only. Please scroll on the right hand side of this page, and you will see a column named “Categories”. Just click on the item”Psychology” and you can see my related articles concerning this topic.